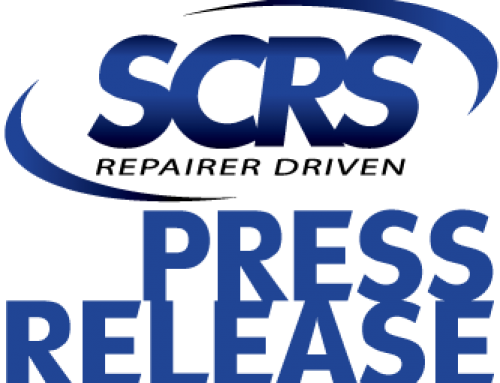 Prosser, Washington, October 29, 2018 – The Society of Collision Repair Specialists (SCRS) and Mississippi State University Center for Advanced Vehicular Systems (CAVS) will be holding a vehicle unveiling in SCRS Booth 11173 at the SEMA Show in Las Vegas, Nevada. The reveal is scheduled for 10:00am on Tuesday, October 30; the opening morning of the Show. The Halo Project is the combination of a variety of CAVS’ capabilities, such as using in-house material inspection capabilities with C.T. X-ray scanning to ensure sound welds, materials research, and more. Follow the reveal and on Facebook pages for the Center for Advanced Vehicular Systems – CAVS and Society of Collision Repair Specialists, and Twitter at @CAVS_MSSTATE. Additionally, catch Matthew Doude’s presentation, Evolving Automotive Design for an Autonomous Future, during SCRS’ IDEAS Collide Showcase on Friday, November 2nd from 10:00am – noon in room N241. The IDEAS Collide Showcase will tackle this and other similar topics that either highlight disruption, or provide solution in the collision repair industry. Ten speakers will deliver fast-paced presentations designed to stimulate thought, innovation and resolution of business challenges with brash, outspoken and thought-provoking concepts. Registration will be available onsite.